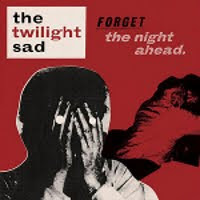 9th place goes to Kilsyth's The Twilight Sad for their album "Forget The Night Ahead", the follow up to their amazing debut. Had I been doing a Top 10 Songs of 2009 (which I won't be...) then "I Became A Prostitute" would be fighting it out for the top spot. The album is packed full of great songs but with so much to live up to, it doesn't quite top "Fourteen Autumns and Fifteen Winters", but then again, not much can top that! All that being said, it's still going to be one of the gig-going highlights of my year, seeing it performed at Nice N Sleazy's in a few weeks time.